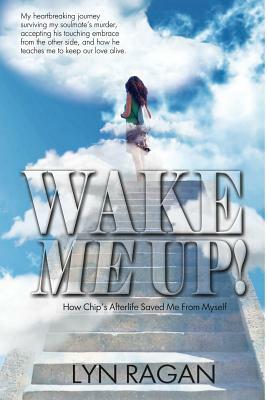 Days after his murder, Chip grabbed his fianc while she laid sleeping. "I'm not gone, I'm right here," he told her. "You can't see me, but I am here. I'll never leave you. I promise." When Lyn Ragan started hearing from her deceased lover, she thought she was losing her mind. Not only had the love of her life been ripped away, she was seeing dead people.Guiding his sweetheart through a twisting plot into the wonder of life beyond death, Chip teaches Lyn how to read the Signs and Messages he shares from the Afterlife. His determination to communicate from the Other Side keeps her focused on his new life, instead of how he died.Chip's unforgettable visitations, creativity, and ability to leave gifts from the beyond, are remarkable blueprints for proof of life in the Hereafter. Filled with loss, grief, and otherworldly love, this true story will have you on the edge of your seat while you question the nature of life after physical death. "Death is not the end of who we are, my darlin'." Chip said. "Love can never die. The one Key to everything beautiful is love. Our love lives forever.